What can you buy with $5 anymore? A couple of gallons of gas, a fancy cappuccino, a lottery ticket or, perhaps, an episode of Louis CK‘s latest web series, Horace and Pete. 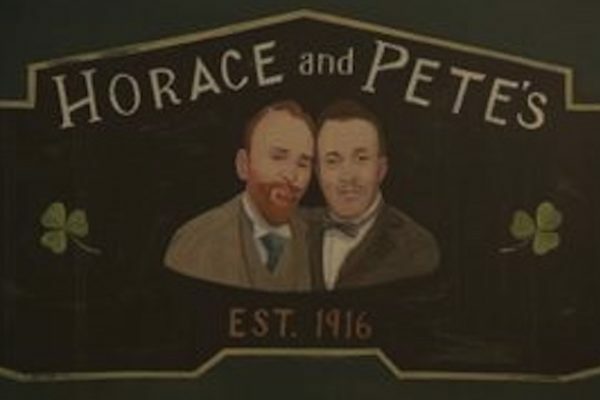 You’ll be tempted to assume that this show, about a century-old family run bar in Brooklyn named Horace and Pete’s, is a comedy, but you’d be wrong. This place is most definitely not Cheers. It’s more like the bar in Eugene O’Neill’s The Iceman Cometh, where a motley crew of alcoholic regulars assemble each day, all day, to numb themselves and sullenly rant about life’s shortcomings. Set up like live theater, with yellowed lighting and a stark set, Horace and Pete’s feels like something you’d see at the Irish Rep – gloomy, maudlin and complex – where characters are unveiled through dialogue whose true meaning is hidden in a lifetime of hurt and mistrust. Louis CK plays Horace, the hapless, distinctly not funny co-owner of this generation’s version of the bar. Horace’s central role is to react to the characters around him who are doing the heavy lifting. As he is principally a comic who became an actor, CK made a smart decision to “play up” by surrounding himself with acting legends. He cast Steve Buscemi as his brother/cousin and partner, Pete, a recluse struggling with a debilitating mental condition. Alan Alda is scorchingly abrasive as his Uncle Pete, who tends bar while throwing around insults and grumbling about how the world is going down the toilet. Edie Falco shines as his sister, Sylvia, the foil who persistently heralds the dysfunctional demise of the family and relentlessly pushes to sell the bar. Perhaps most impressive of the cast is Laurie Metcalf as Horace’s ex-wife, Sarah. She only appears in one episode but delivers one of the most powerful monologues in any TV series, ever, about the character’s sexual intoxication with her new husband’s 84-year-old, married father. The series feels distinctly old-school, à la a network series from the 1970s, but retains its Louis CK-ness by engaging in extremely current themes, sometimes literally only hours old. Trump jokes abound. Reasoned arguments break out between conservatives and liberals. Uncle Pete regularly uses the N word and can’t be made to understand why it’s wrong. When a 20-something hipster challenges why he is charged $4.50 for a Bud when one of the regulars only paid $3, he is told that it is a “douche tax” because he sought out a dive bar specifically to drink ironically. Any fan of Louis CK will find Horace and Pete at least interesting and perhaps breakthrough. His attempt at a new, more dramatic and theatrical form of expression, though not without its bumps, is to be admired. The series, now six episodes long, celebrates dysfunction, shame and regret, while exploring the darker thoughts and contradictions that live in all of us. Who doesn’t need a little existential self-examination from time to time? PS. While we’re on the subject of comedians taking to different mediums, there are a couple of podcasts you might want to check out. “WTF with Marc Maron” is full of great guests and great stories. His double session with Louis CK was actually named “Best Podcast Ever” by Slate. 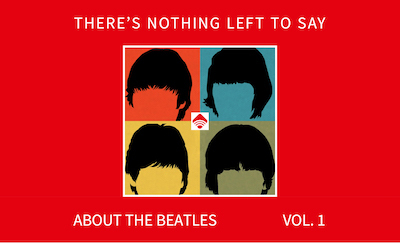 Also worth a listen is “Here’s The Thing,” hosted by Alec Baldwin.